Best put on your running shoes. 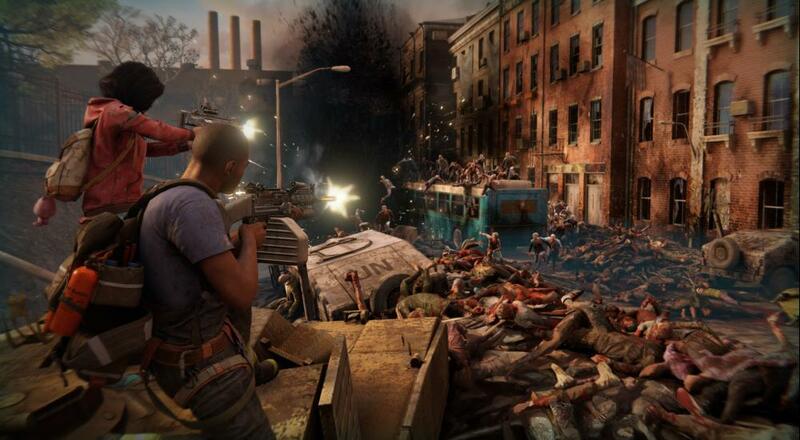 World War Z and its never-ending hordes of zombies is nearly upon us. Are we ready for it? Probably not, but we can get some last minute info nonetheless. On top of all the character-based options, it looks like environmental awareness and communication will play a big part in completing World War Z's campaign. I can already picture all the times I'll spend numerous minutes silently taking down zombies, only for one of my friends to fire a rocket launcher directly over my head. We may need some pointers in the future. World War Z is out on April 16th for PC, Xbox One, and PlayStation 4. As mentioned in the trailer, preordering will also net you the "Lobo Weapon Pack", which features golden versions of the pistol, assault rifle, and SMG, as well as a handy-dandy shovel. Page created in 0.5691 seconds.